^ a b "Spamhaus Statistics: The Top 10". 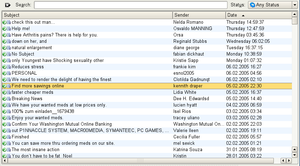 Spamhaus Blocklist (SBL) database. dynamic report. The Spamhaus Project Ltd. Retrieved 2007-01-06.